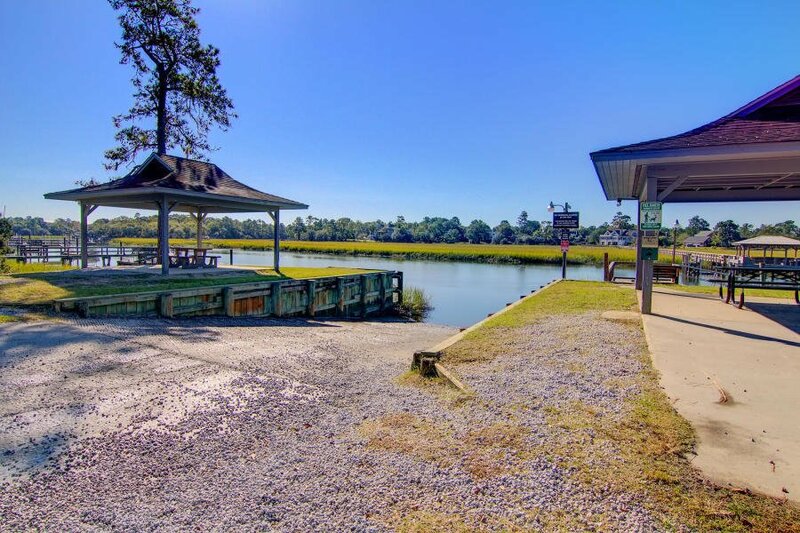 SINGLE LEVEL custom home in Hidden Cove is a destination neighborhood for boaters (the community boat ramp/dock is one of the best in Mt. 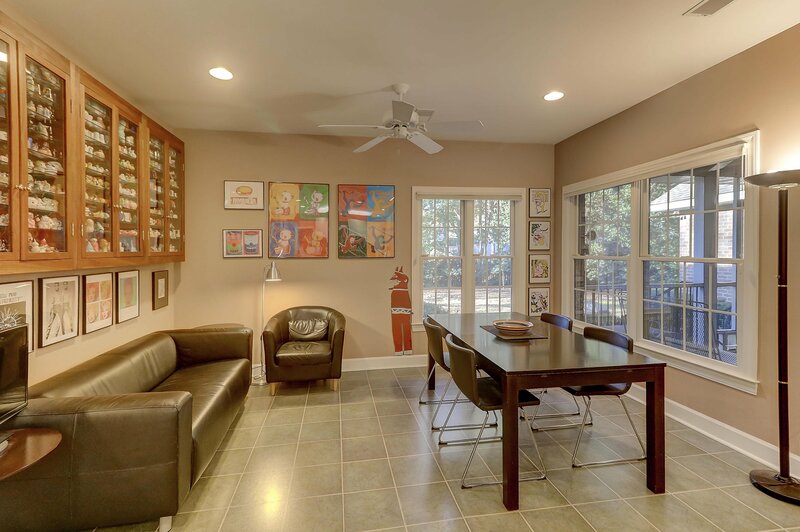 Pleasant), families, and empty nesters. 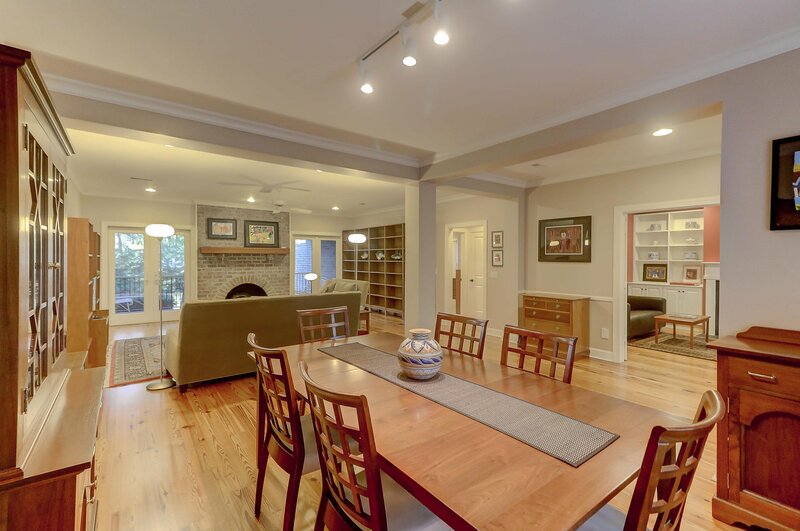 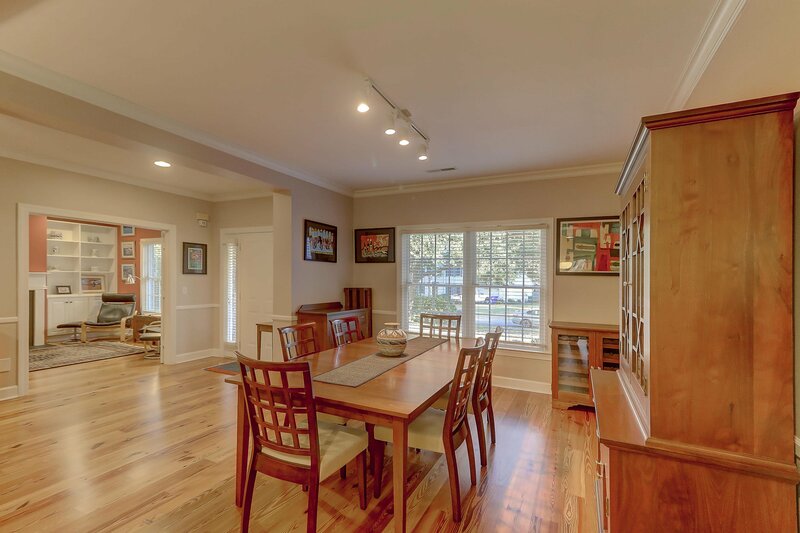 This 3420 square foot home features a split floor plan with 9' ceilings. 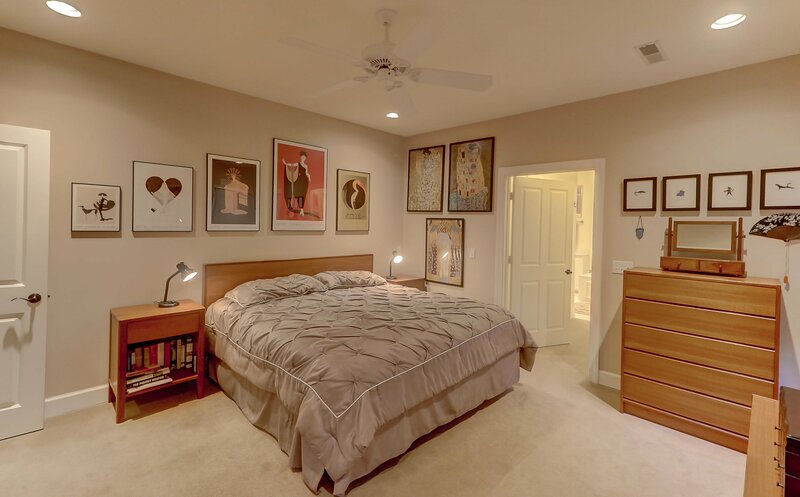 There are 3 or 4 bedrooms and 3.5 baths. 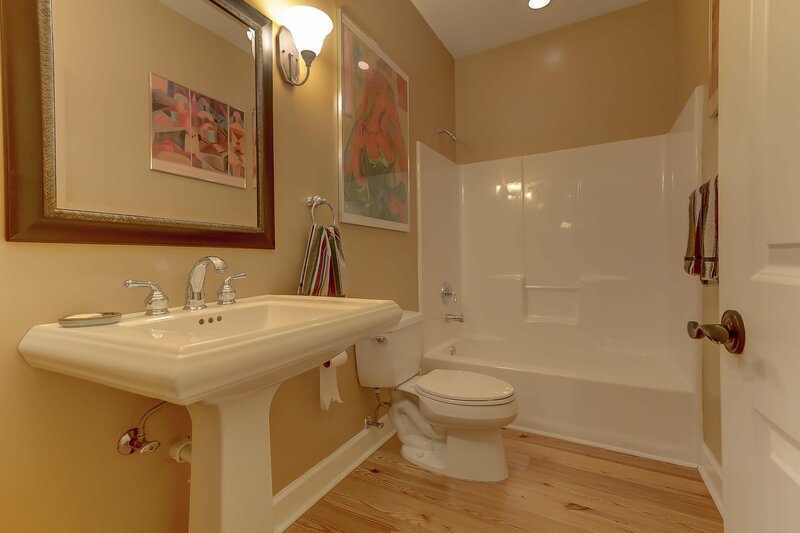 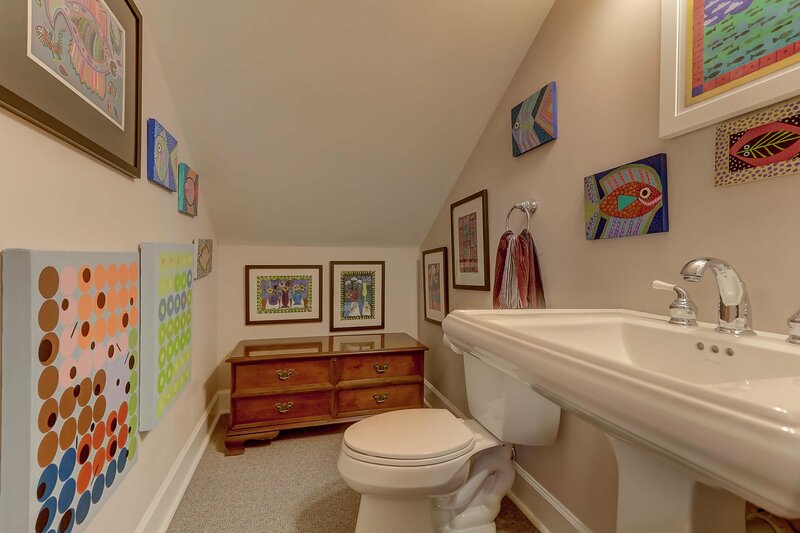 (The frog can be the 4th bedroom as it has a closet and half bath.) 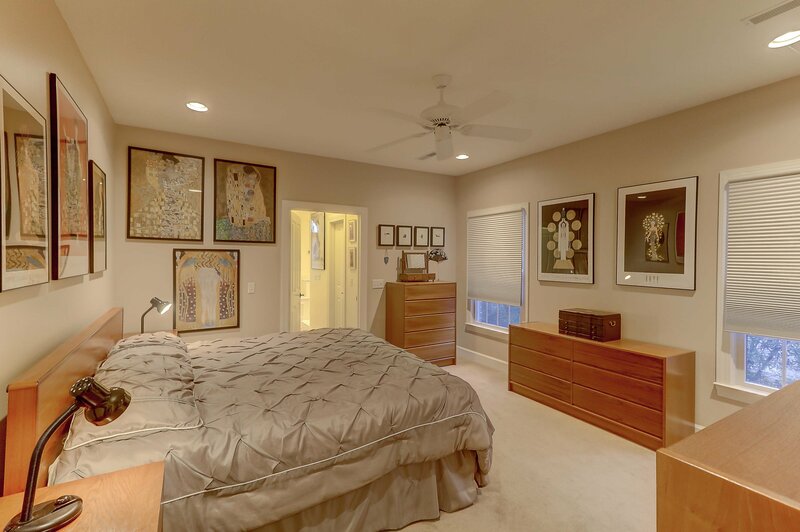 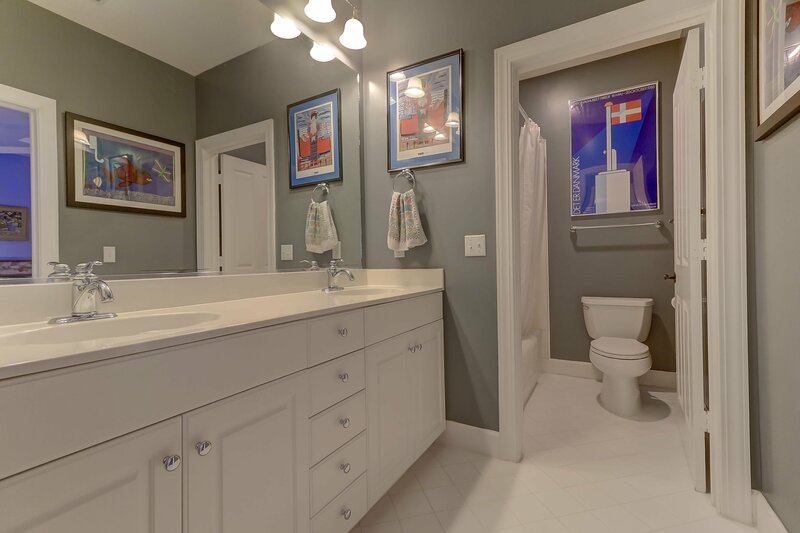 In the spacious master suite, you will find his and hers walk-in closets as well as separate vanities in the well designed master bath. 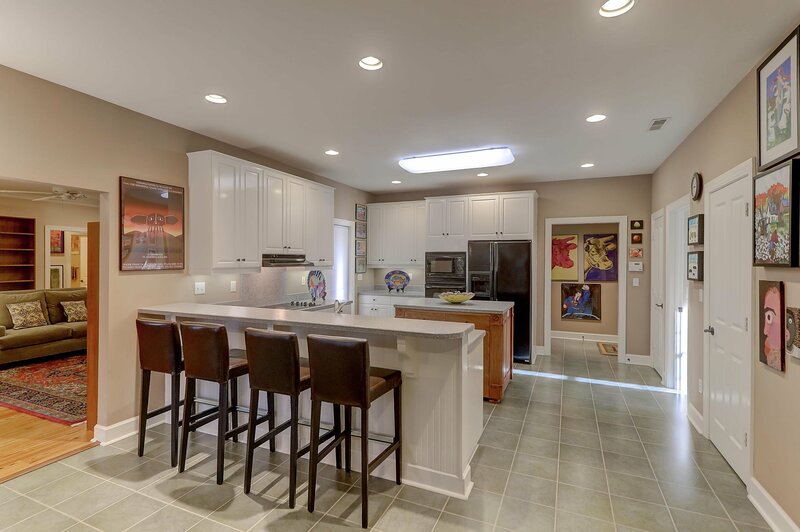 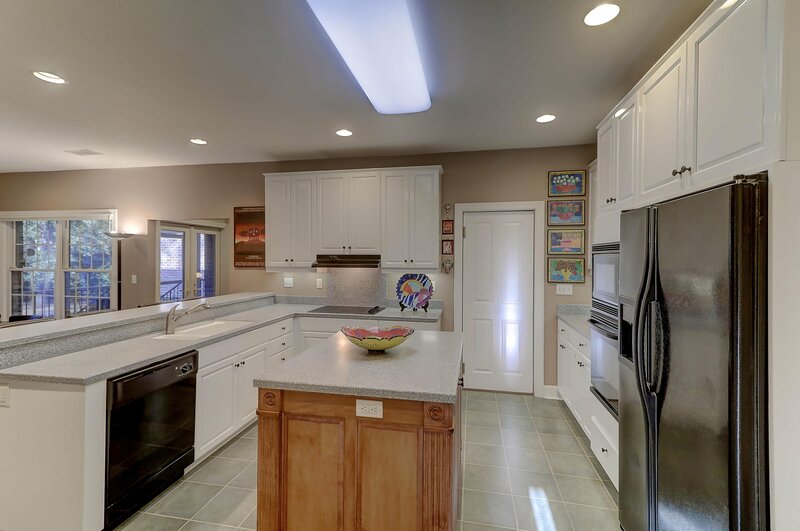 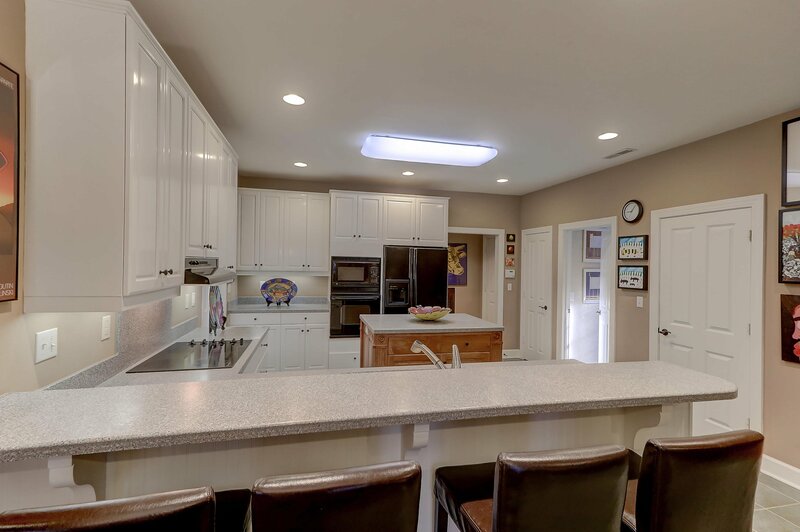 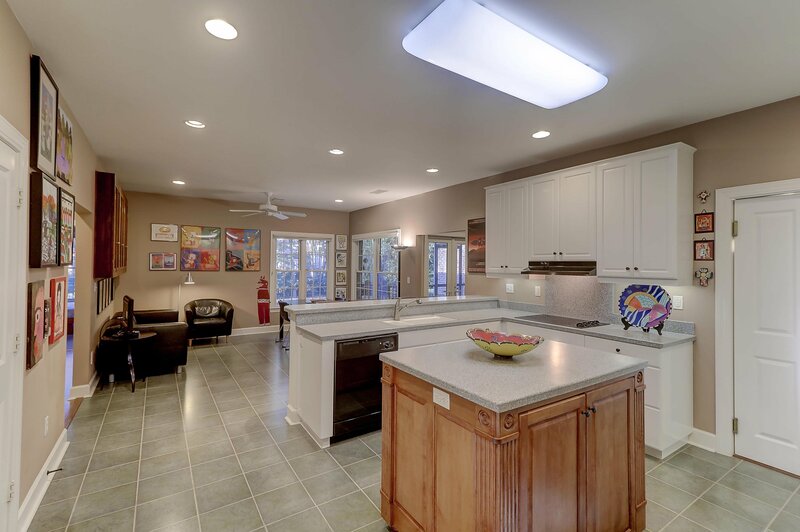 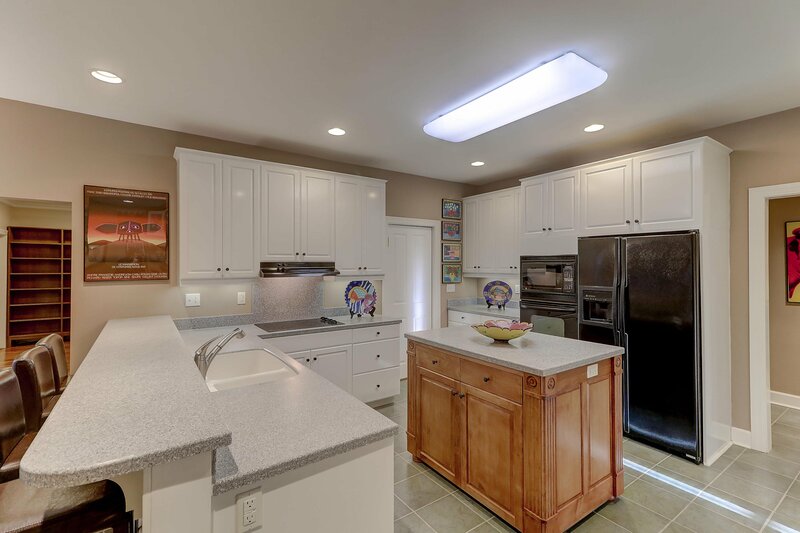 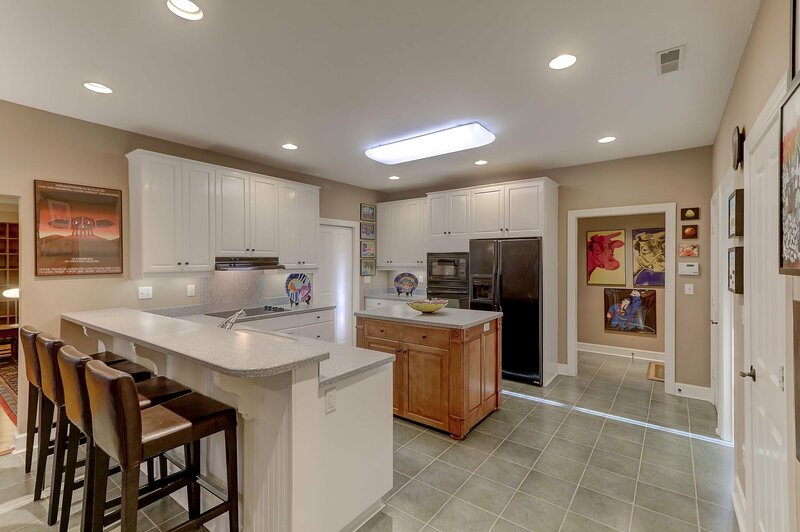 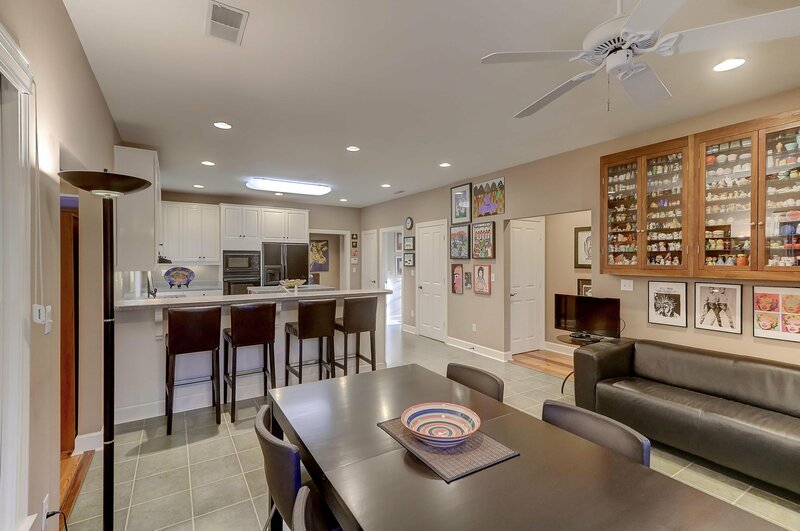 The kitchen features snack bar, breakfast nook, island, and walk in pantry. 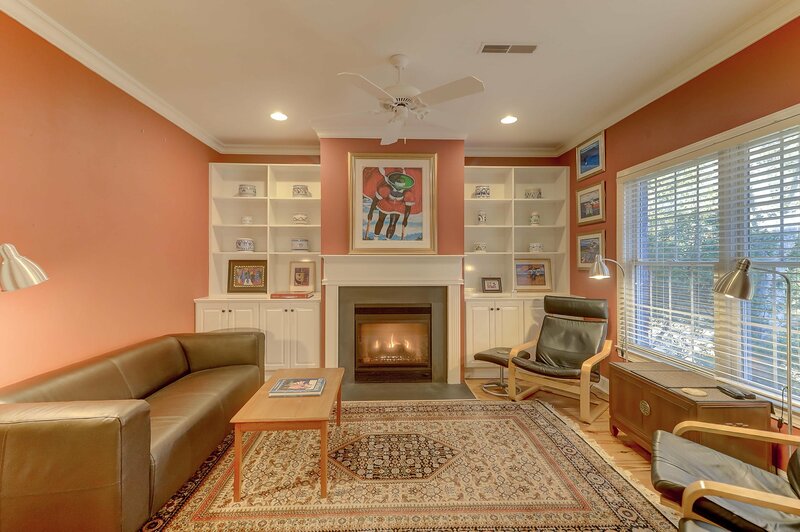 In the open great room and dining room, you will find a brick fireplace while the cozy den has a gas fireplace that is flanked by bookcases. 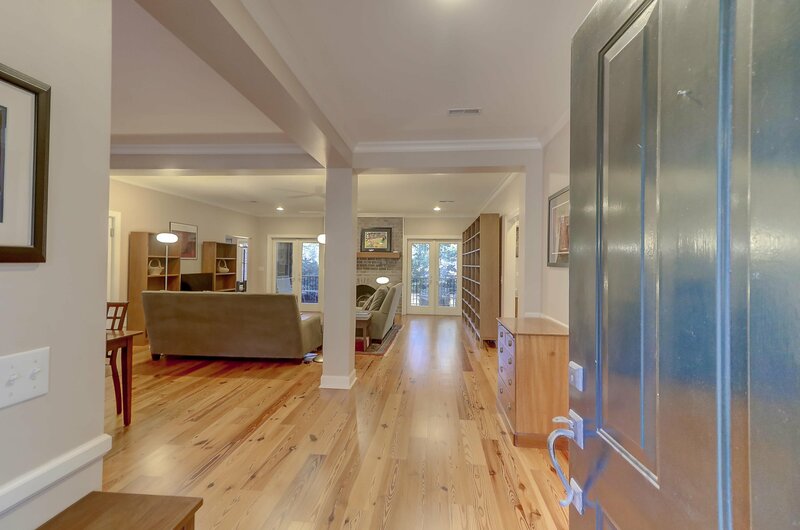 There are heart pine floors in the main living areas. 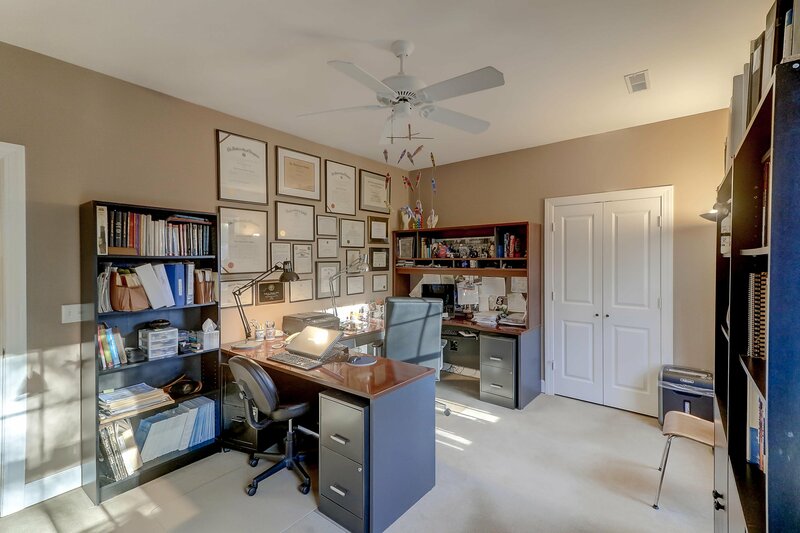 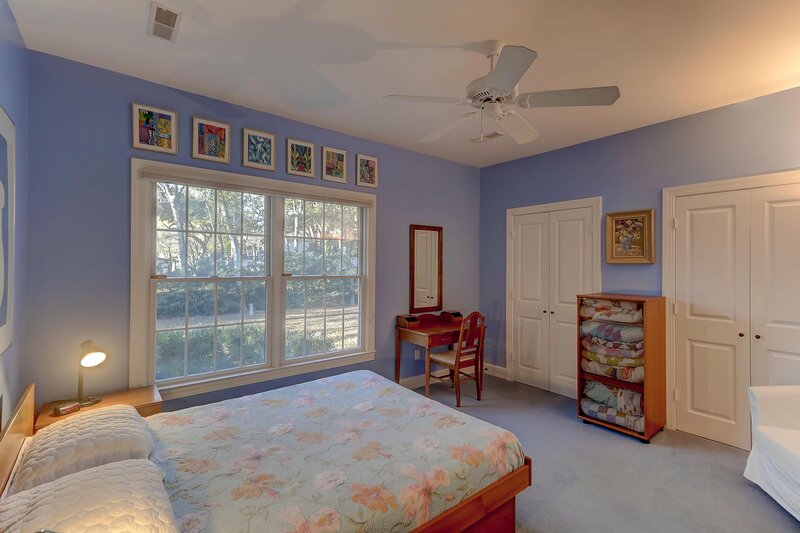 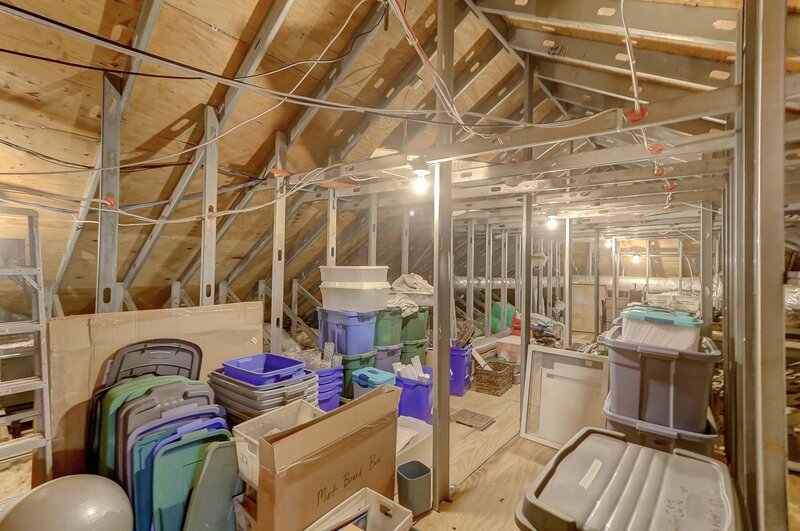 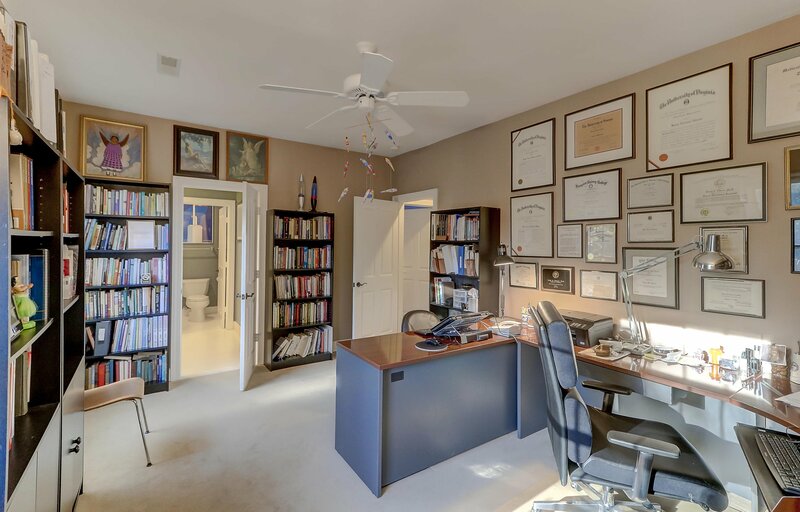 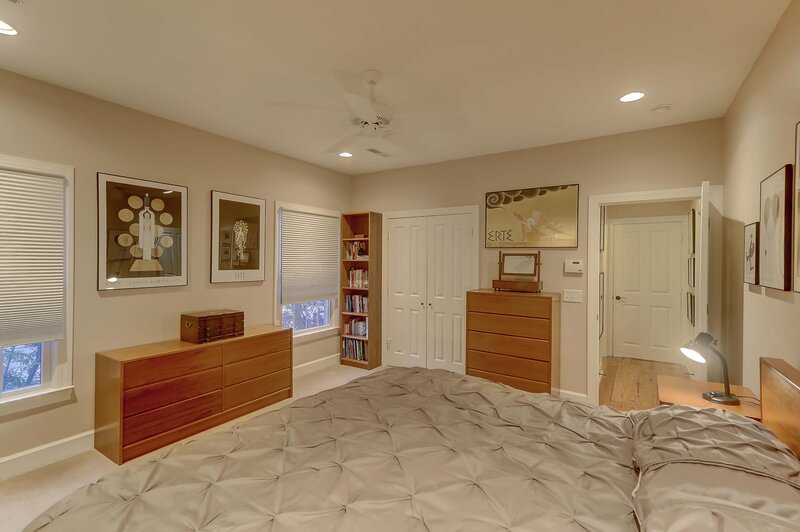 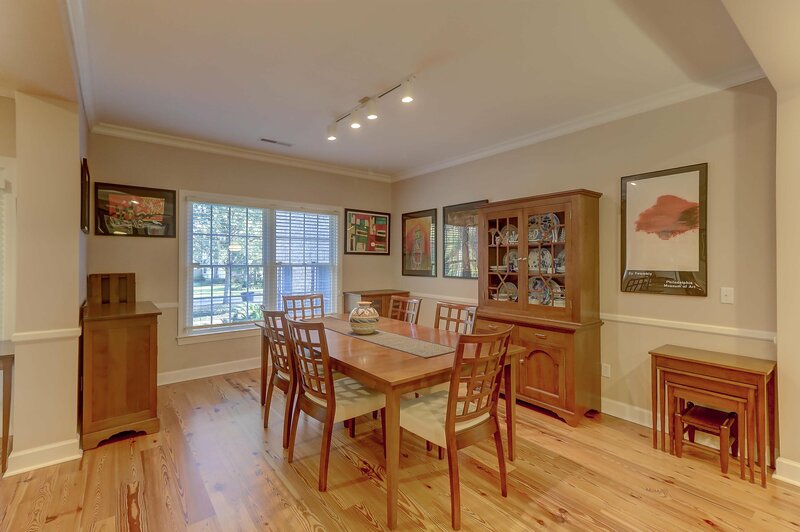 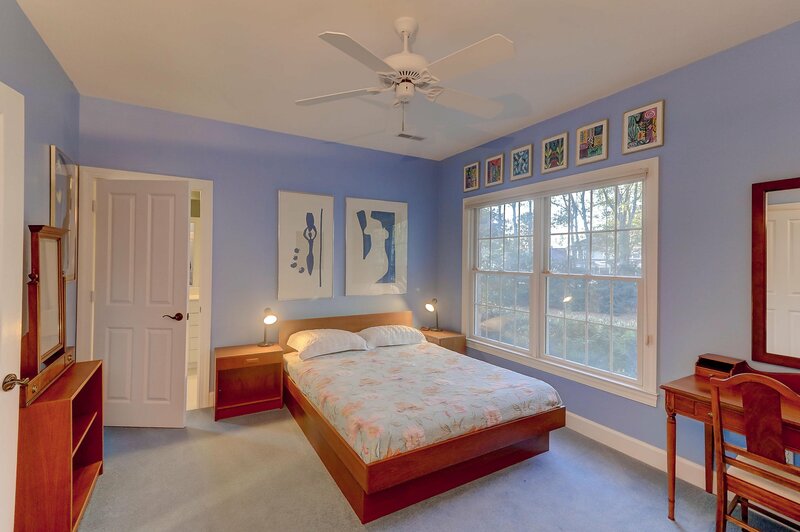 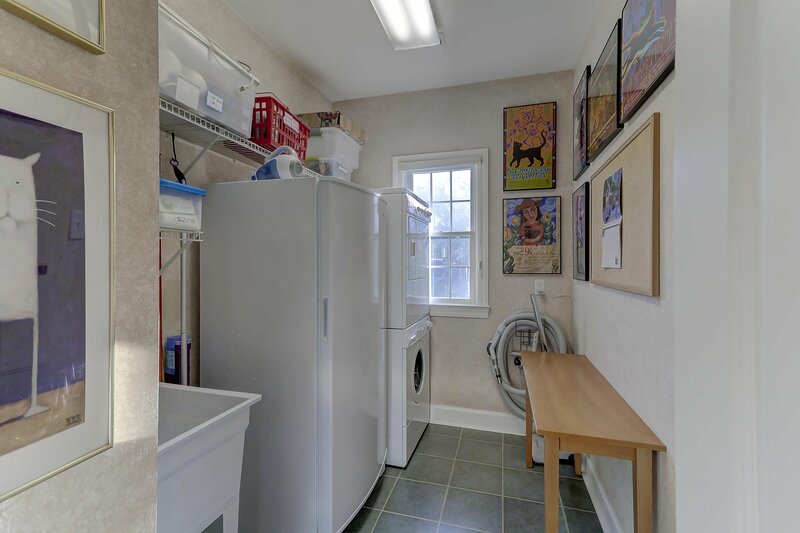 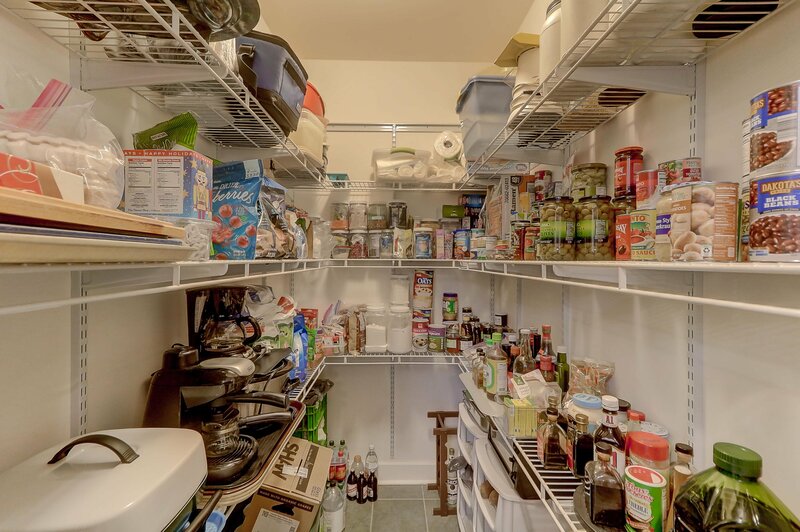 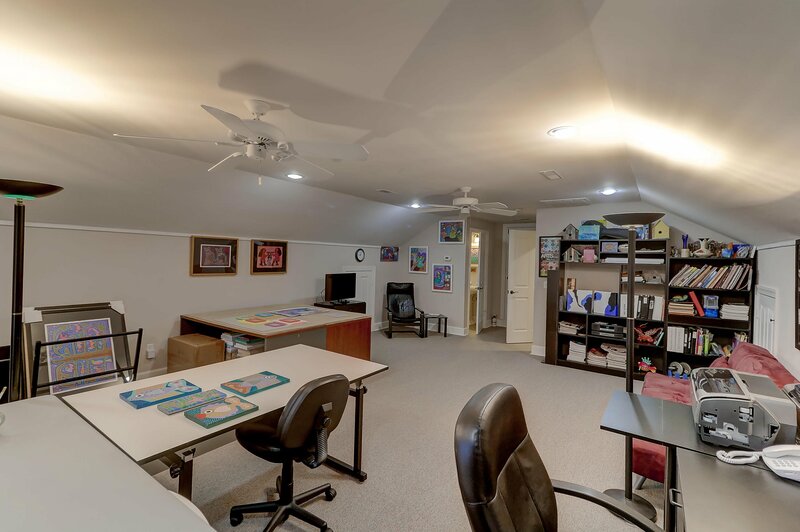 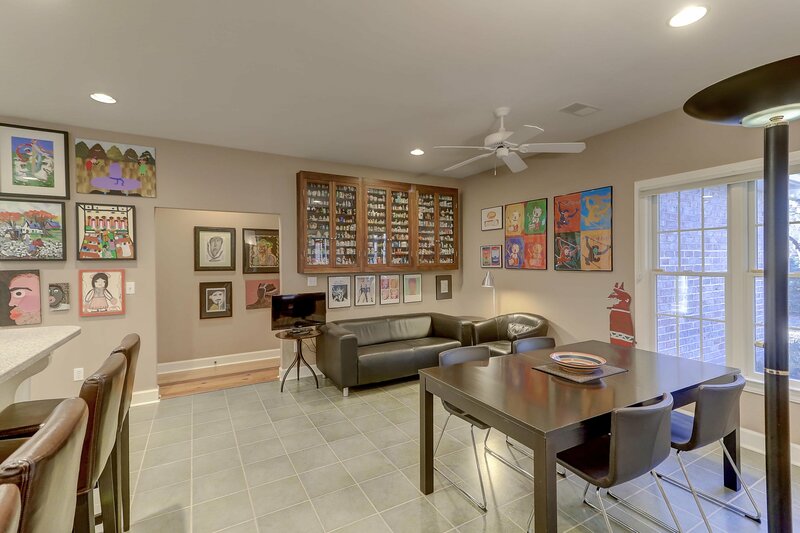 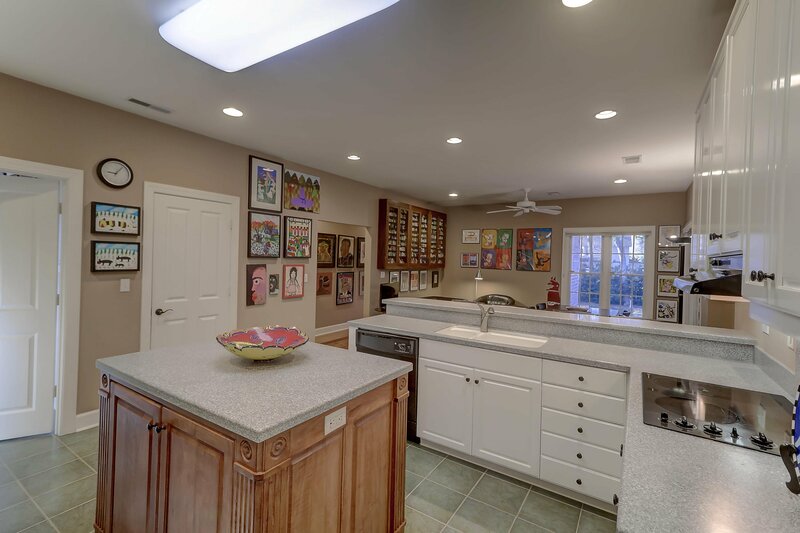 This home has wonderful storage including a walk in attic. 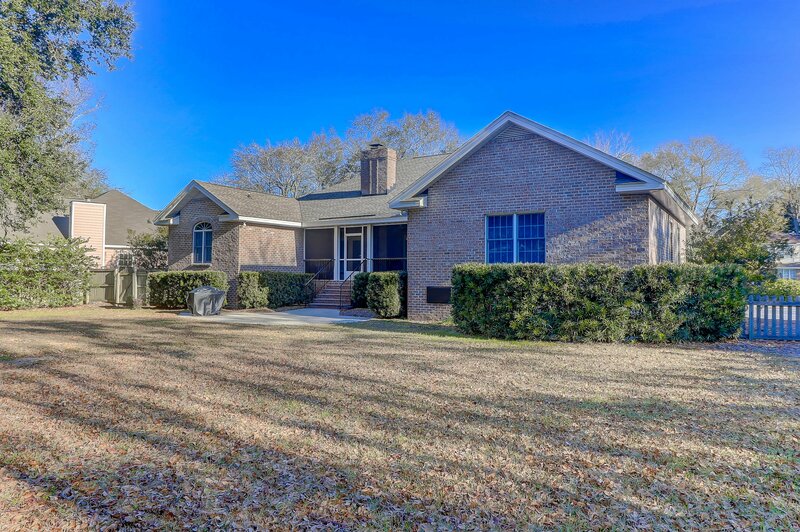 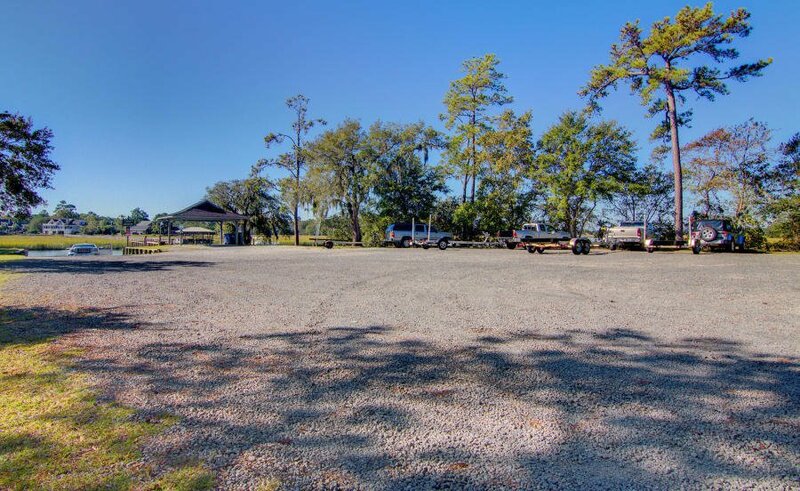 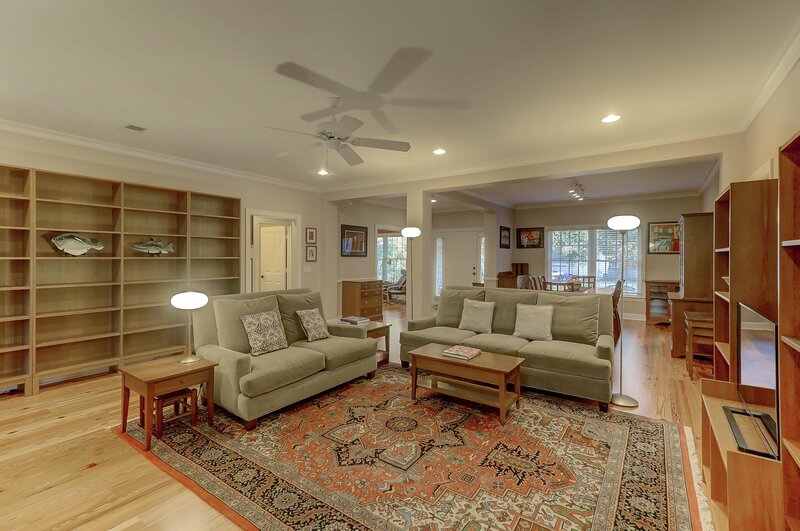 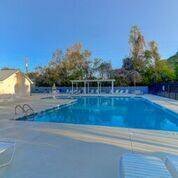 Situated on approximately 1/2 acre, there is room for outdoor activities. 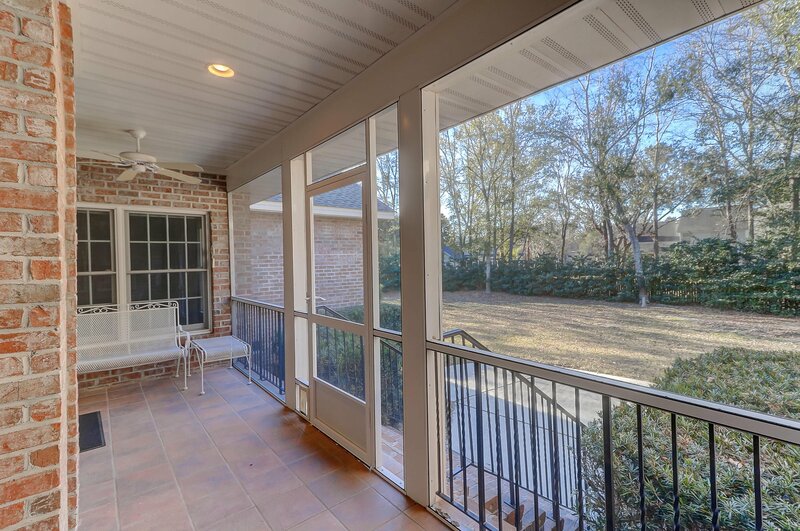 A rear screened porch overlooks the large, fenced back yard. 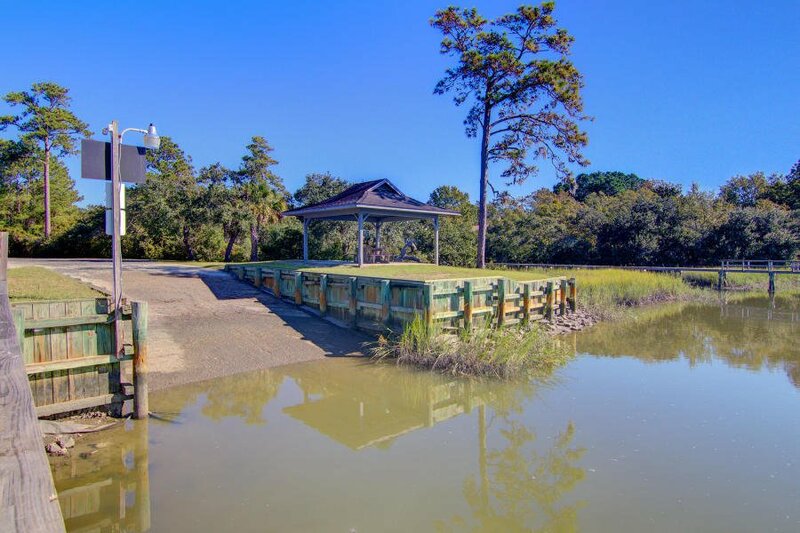 The lot is 19 feet above sea level and flood insurance has not been required. 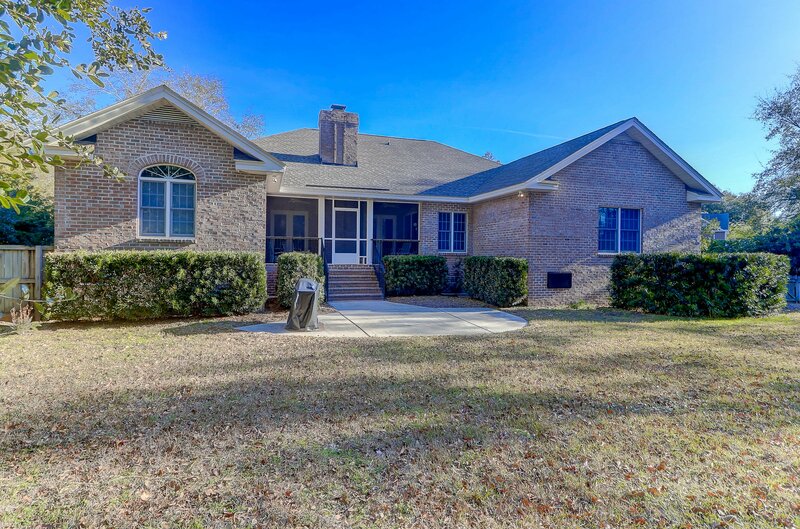 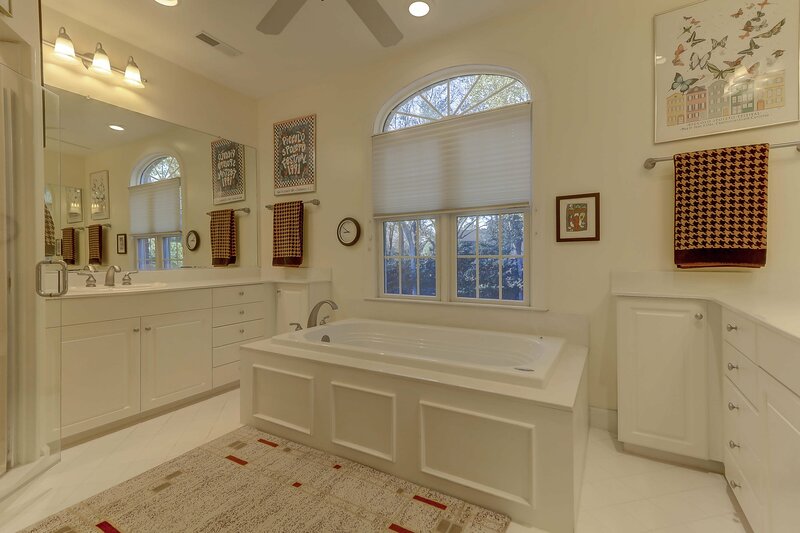 There are many upgrades in this home that will impress you, including superior steel-framed construction, copper plumbing lines, custom steel frame roof trusses with full height attic storage area, and queen size brick with decorative detailing. 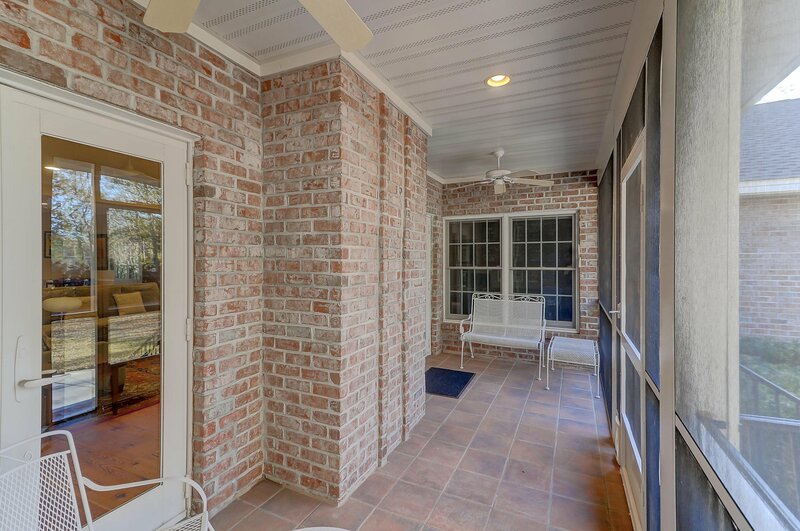 The exterior is maintenance free with its aluminum fascia and trim around the perimeter of the home as well as having Anderson tilt wash vinyl clad windows. 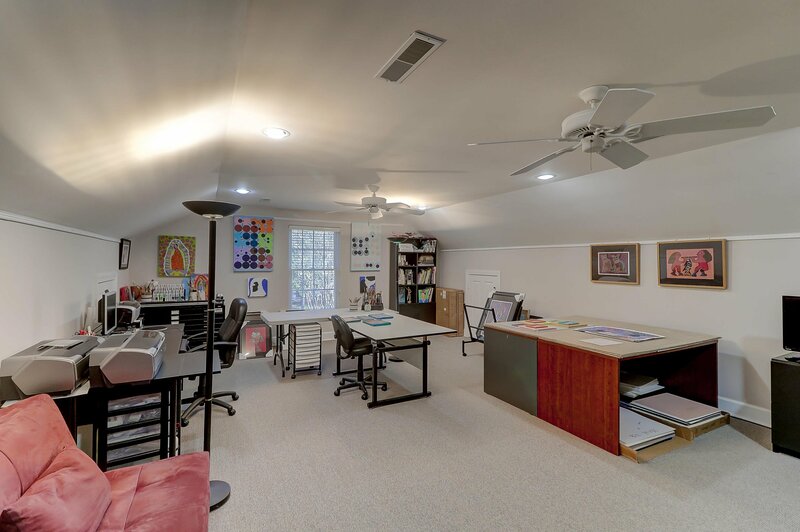 A GAF Roofing System was installed in 2016 with a 50 year material warranty and 35 year labor warranty. 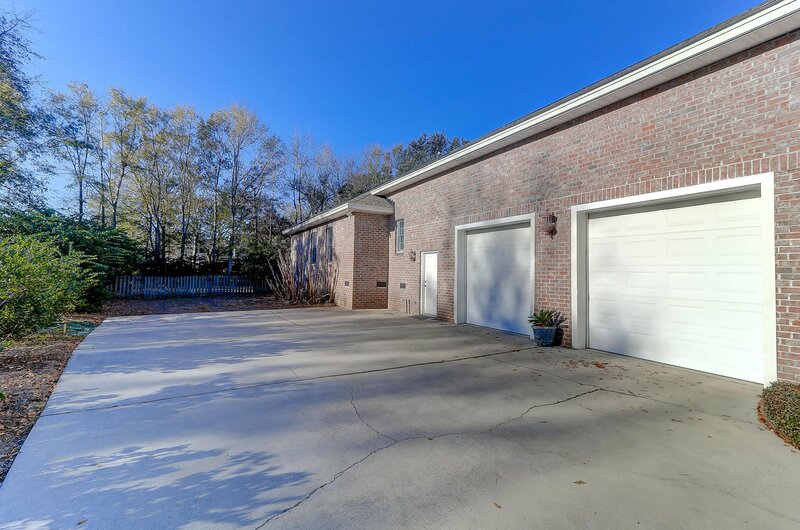 The attached oversize 2 car garage has clear span with 14' ceilings and 31' car bays. 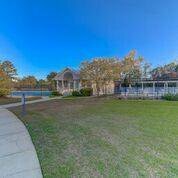 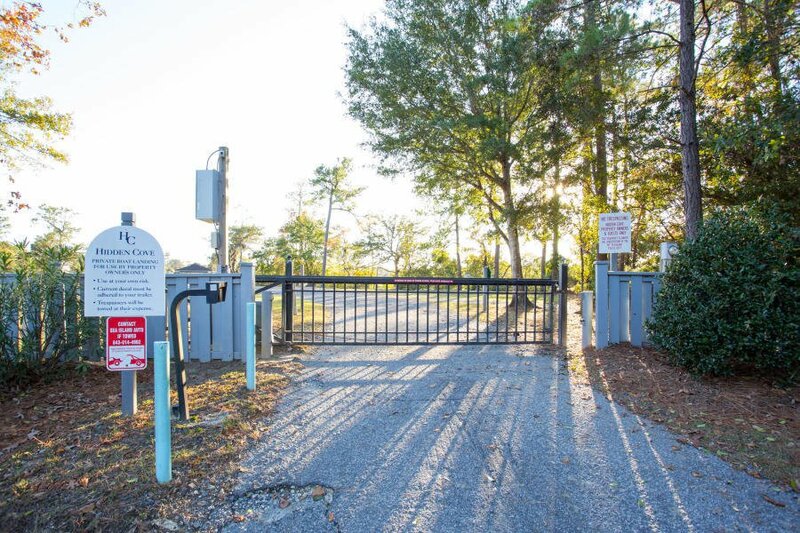 The neighborhood amenities include a clubhouse, pool, and tennis courts, and the incredible boat landing. 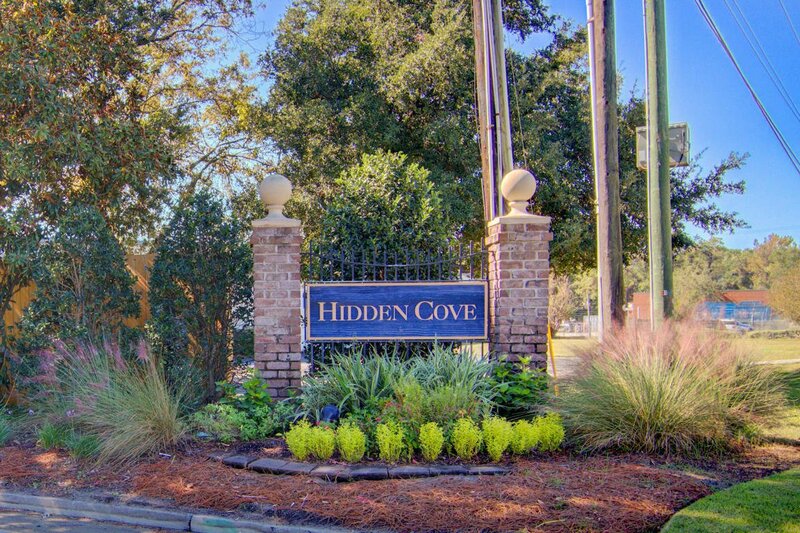 Move here and you will be convenient to everything - Mt. 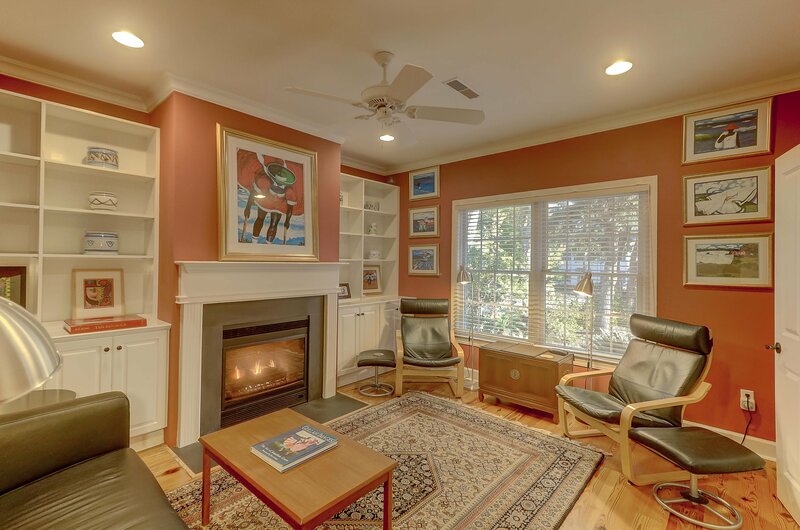 Pleasant shopping, downtown Charleston, beaches, and the airport.